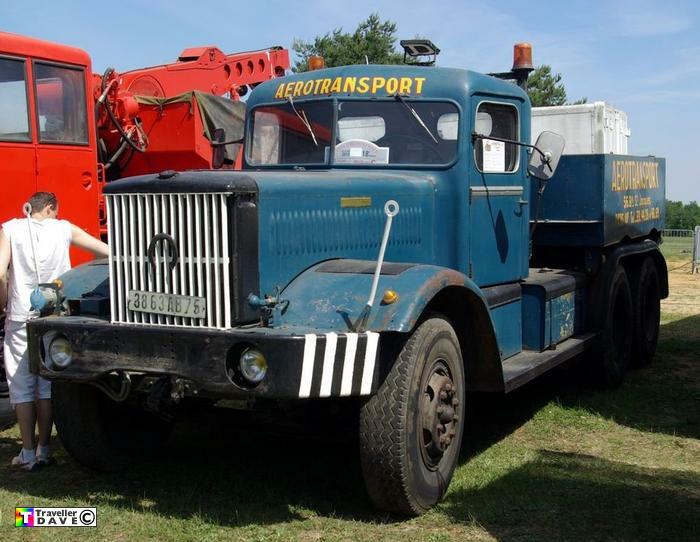 3863AB75 (1947) Diamond T M20 . Ex-US Army , Ex-Aerotransport Co.
Seen 5.6.10 Ferte Allais (91) Essonne . France . Fitted with a Cummins 220hp diesel engine .